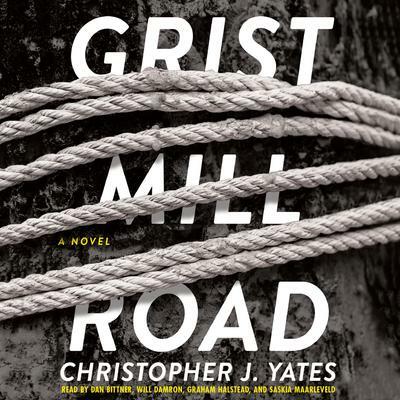 Christopher J. Yates’s cult hit Black Chalk introduced that rare writerly talent: a literary author who could create a plot with the intricacy of a brilliant mental puzzle, and with characters so absorbing that listeners are immediately gripped. Yates’s new audiobook does not disappoint. Grist Mill Road is a dark, twisted, and expertly plotted Rashomon-style tale. The year is 1982; the setting, an Edenic hamlet some ninety miles north of New York City. There, among the craggy rock cliffs and glacial ponds of timeworn mountains, three friends—Patrick, Matthew, and Hannah—are bound together by a terrible and seemingly senseless crime. Twenty-six years later, in New York City, living lives their younger selves never could have predicted, the three meet again—with even more devastating results.